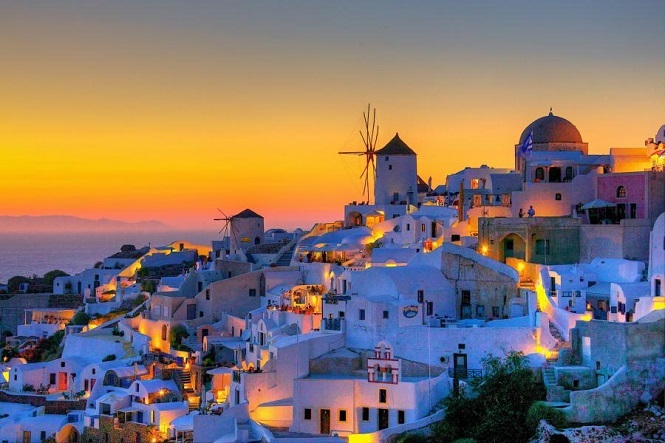 Best place for your trip to Santorini: Fira or Oia? 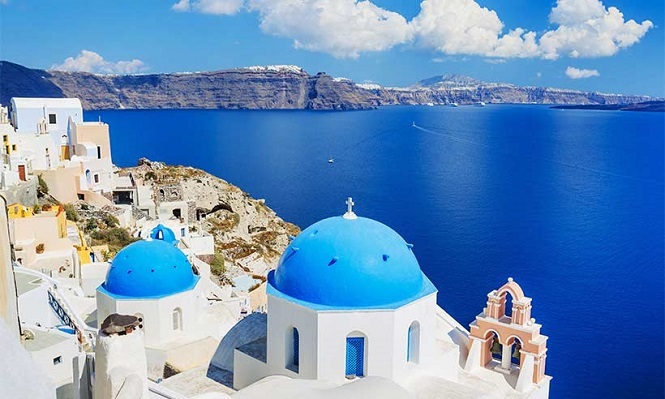 Thira, colloquially-called Santorini, a contraction of Santa Irini (Saint Irene) whose cathedral is located in the village of Perissa, is a Greek group of islands in the Aegean sea situated circa 200 km from the mainland. 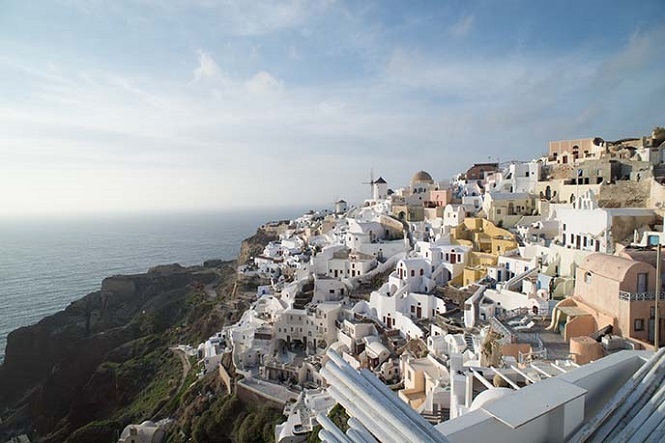 It includes Thira, Thirassia, Aspronissi, Palea and Nea Kameni. The island complex is an active volcano and all the islands actually were born only thanks to the volcanic activity that has defined their romantic nature. 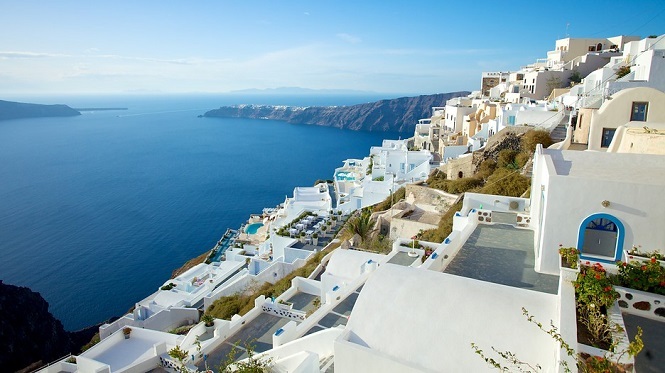 When planning a trip to Santorini, most travellers ask themselves where to go: Fira or Oia? Here are some tips for this choice to be easier. 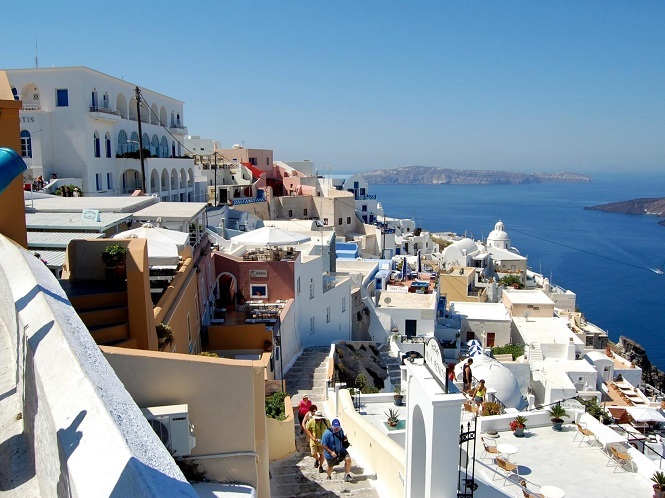 Both Fira and Oia are perched over the sea and caldera and offer fantastic views from different angles. They tend to say Oia is a more romantic option though all Santorini is known to be the place to be for couples for its stunning sunsets. The towns are pretty much the same in terms of architecture and general facilities. Both villages have some options for eating out but Fira as the capital has more easy places suitable for any wallet. Both Oia and Fira have grocery stores and small markets. Fira, again being the capital, offers easier car-renting and more options for public transportation having a bus station. The trip from the airport and the port is slightly shorter to Fira rather than to Oia, though the difference is only about 10 minutes. As a matter of fact, there are plenty of hiking tours from Fira to Oia. For luxury villas on Santorini, both Fira and Oia offer you wonderful places, you just have to be fast and not to wait for too long. 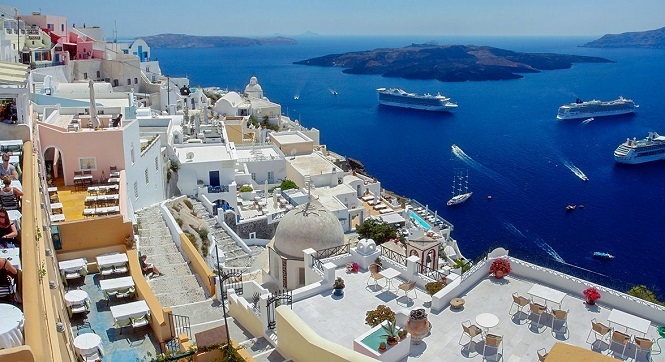 There are more travellers wishing to visit Santorini than it can get!